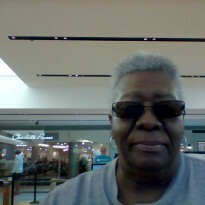 Golden - Arlena Has Read and Reviewed What Novels? "Golden" by Charmaine Galloway was truly a very amazing read that is truly a heart warming read. Once you start it you will not be able top stop reading this read until the very end. You will only be left saying Wow what a read! We find this young woman (Golden) is truly a 'survivor' and from childhood until now and you can see that God had been with her through it all. This story was truly one emotional rollercoaster ride. Now that she is an adult being able to look back and see where Golden has come from being able to keep secrets that had held in all of her life was truly something to ponder on. You will find from the read that Golden is definitely a 'survivor.' Will these secrets Golden has held to for so long keep her from the love of Marquis Jones? Will Golden be able to forgive her birth mother and the demons that she has held on to her all of these years? This author did a wonderful job at a presenting this young lady's life and struggles letting us see how through all that went on with Golden and how through the power of God's love that in the end ....well this is where I will say you must pick up the excellent read to see for yourself. It was truly a amazing well written read that will leave you with such a positive message from above. 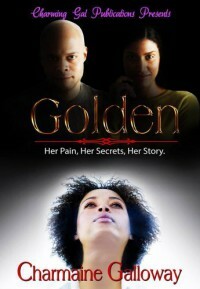 "Golden" was truly a wonderful read that I would recommend to anyone who is looking for a good read because in the end it was 'her pain, her secrets and her story' that was so well delivered to us by this author.